So beautiful! | Better days! This entry was tagged Bruce Springsteen, MusiCares, MusiCares 2013, rock, rock music, Springsteen, The Boss, Zhenya Gershman. Bookmark the permalink. 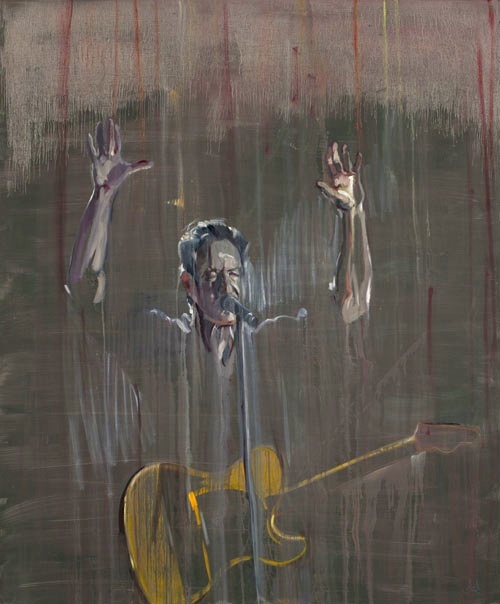 Painting really captures Bruce’s essence…soulful and spiritual! Interesting how she managed to show the spirituality of it.